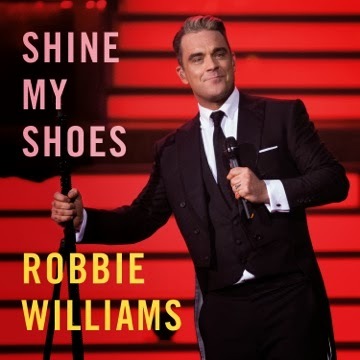 Mister Robbie Williams has confirmed that the third single from his latest album ‘Swings Both Ways’ will be his original collaboration with Guy Chambers/Chris Heath ‘Shine My Shoes’. The track follows on from ‘Go Gentle’ and ‘Dream A Little Dream’ in highlighting the singer’s latest swing album, which has so far sold in excess of one million copies across the world. It’ll no doubt feature as part of the setlist on Rob’s forthcoming UK tour. In the meantime, Robbie has also confirmed that he’ll be in Australia next week to visit Channel 9’s ‘Today’ show where he’ll exclusively perform three tracks from the album.